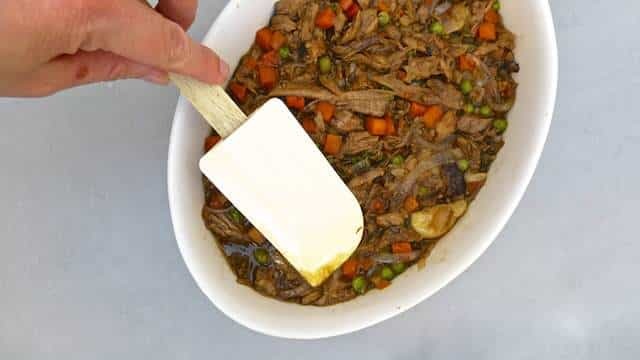 Lamb Parmentier (French Lamb Casserole) | Simple. Tasty. Good. 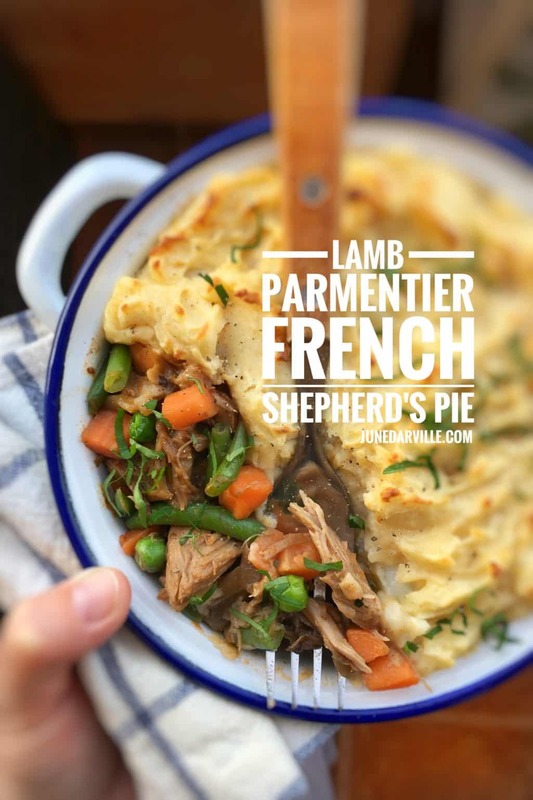 Does lamb parmentier sound familiar to you? Then maybe French hachis parmentier does. And shepherd’s pie should definitely ring a bell! The only difference here is that I didn’t use any fresh meat or mince for my pie stuffing but a gorgeous amount of pulled leftover lamb roast. I tossed in some frozen peas and carrots also. Just top off the whole shebang with a layer of freshly made potato mash and pop the dish into a hot oven. 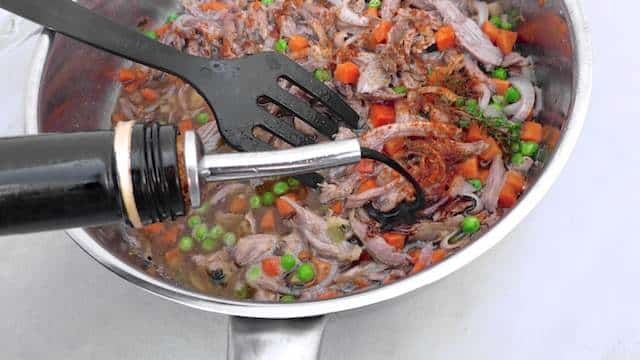 Leftover recipes? Yes we can! 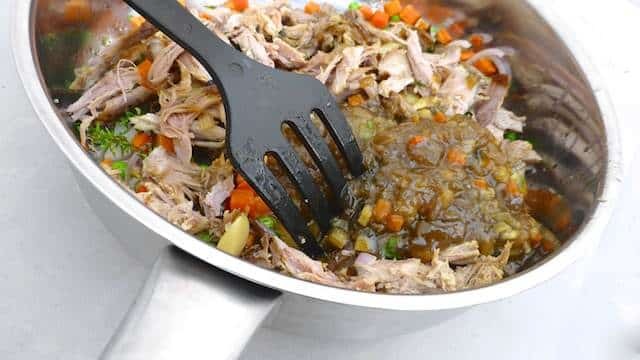 Guess this one would also be a great St Patrick’s Day dinner recipe this year. Yum! Got leftover roast lamb in your fridge? Then also check out my leftover lamb salad with soba noodles! A French take on a shepherd's pie! 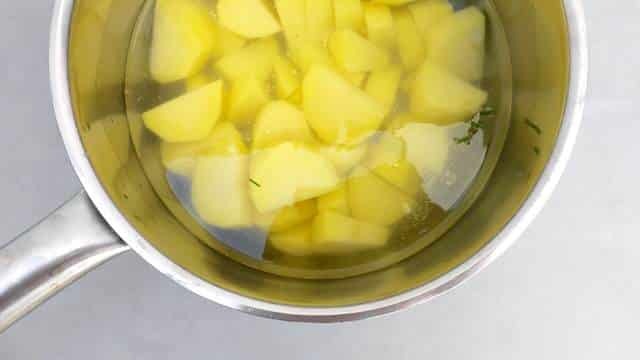 Fill a pan with water, season with salt and place it over high heat until boiling. Then add the potatoes. Cook them until tender and drain them. 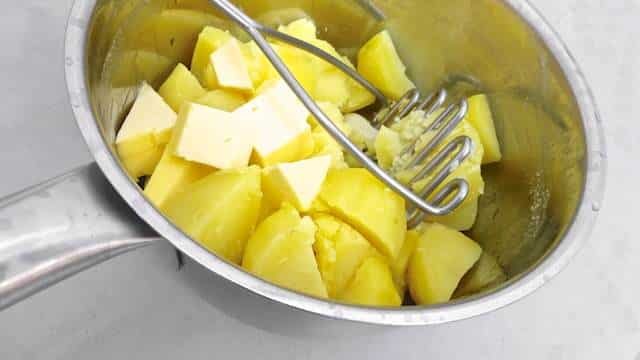 Then transfer them back to the pan and add the butter. 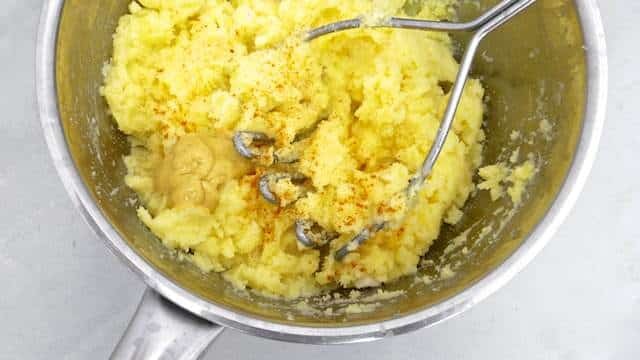 Mash the potatoes. Also add the mustard, milk and pepper and salt. Mash again and then check the seasoning. Add extra pepper, salt or mustard to taste. Then put the mash aside until later. Pour some olive oil in a pan and place it over medium heat. 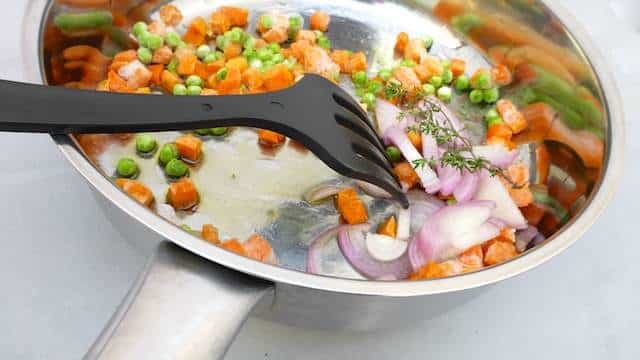 Add the chopped garlic, shallots, peas, carrots and thyme. Cook the ingredients for about 4 minutes. Stir regularly. Then add the pulled lamb and jus (or red wine). Season with pepper and salt. Stir well. Then let the lamb warm through for 4 more minutes. Add the balsamic vinegar. Stir the ingredients. Then check the seasoning and add extra pepper or salt to taste. Transfer the lamb mixture to a baking dish. Spread it evenly over the bottom using a spatula. 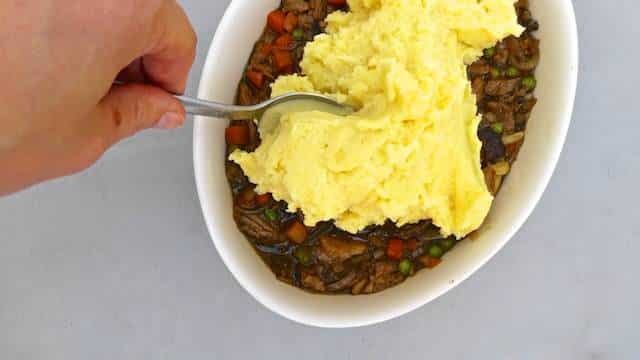 Then cover with the potato mash. Flatten the top again. Bake the lamb parmentier in a preheated oven at 356°F (180°C) for about 30 minutes. After that grill it for 4 minutes until golden. Let the lamb parmentier rest at room temperature for a few minutes. Serve.